At our recent Genera Meeting on March 21st we got some updates on Snohomish County Parks trail work plans. County Parks staff brought several maps and photos to share. Some of these are attached here. Sorry about the limited quality. For the Whitehorse Trail bids have been received and the contract should soon be awarded for gravel work on the trail between "the Tin Bridge" (mile point 2.65) and Swede Heaven Road (mile point 21.8). The first phase is planned for completion by the end of June and the entire project is scheduled to be done by the end of November this year. 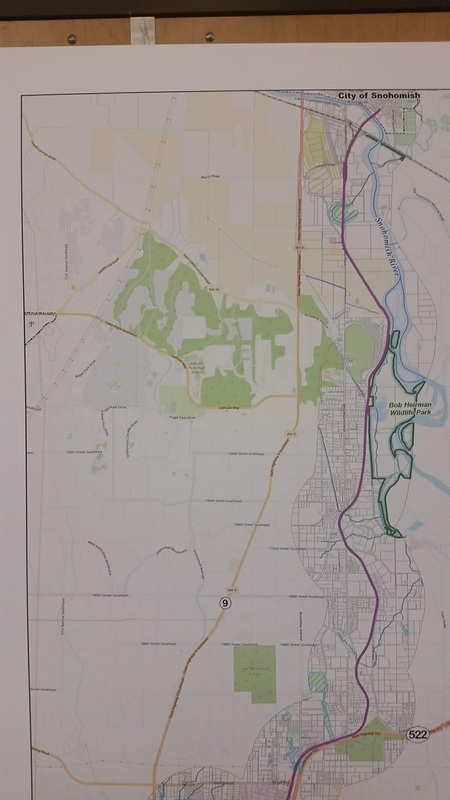 Two sections were paved last fall; these next phases of work will be gravel surfacing. On the Centennial Trail, Parks is doing annual - biannual trail fix projects, patching the paving, cutting tree roots, fixing erosion problems. They will spend $150,000 on this type of work this year. 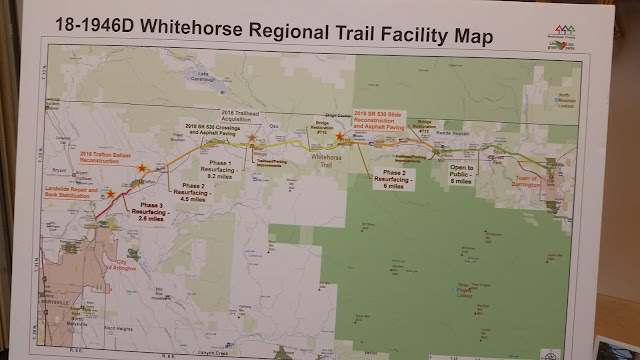 Whitehorse Trail gravel work planned by Snohomish County Parks. 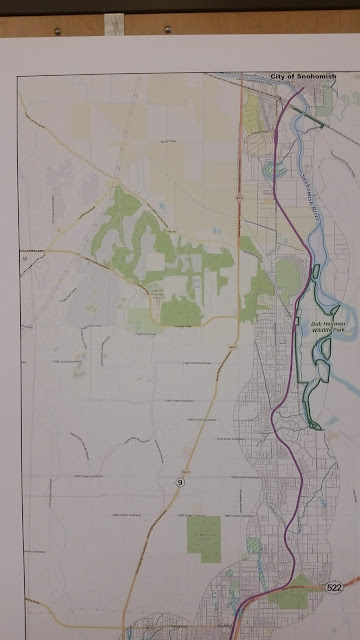 This article shares some updates on funding and development plans for northern Snohomish County, with some specific details about plans for the Whitehorse Trail and other parks in the area. If the reader would like more information on some of these topics you are encouraged to attend our next Trail Coalition General meeting on Thursday March 21 at 5:30 PM to 6:30 PM, Willis D. Tucker Community Park, 6705 Puget Park Dr, Snohomish, WA 98296, USA (map). 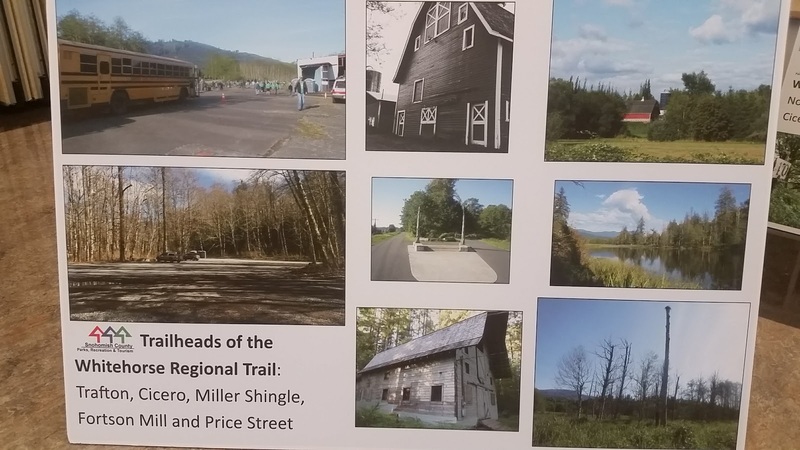 Snohomish County Parks representatives will likely be available to answer questions about parks and especially about long distance trails. This news from the North County Outlook. 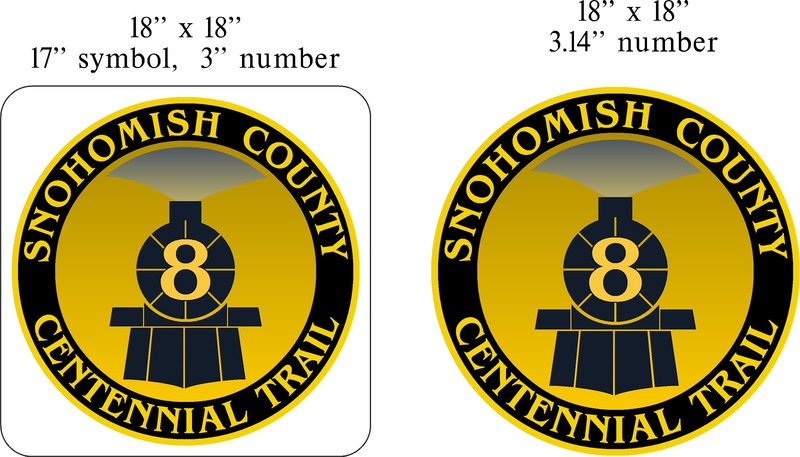 The Snohomish County Historic Preservation Commission will host “Centennial Trail History Day” on July 21, from 11 a.m. to 3 p.m., on the trail. 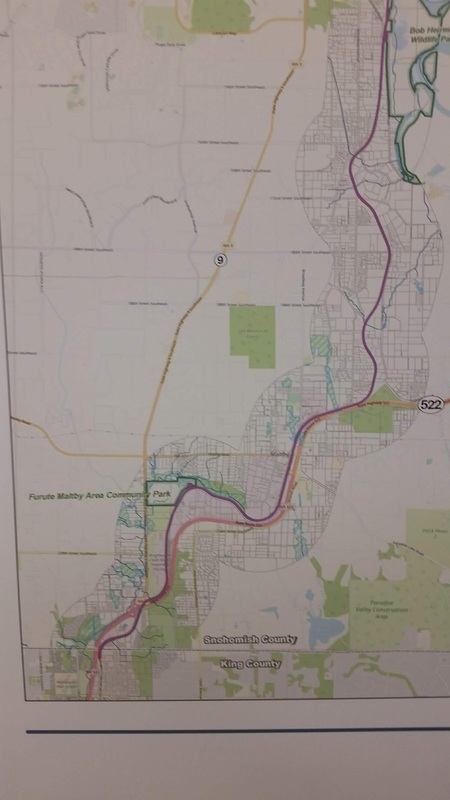 There will be activities for kids, hands-on interactive exhibits, and a chance to touch historic artifacts at six different sites along the 30 miles of historic rail line. It is free and open to the public. Go to the North County Outlook for more details.